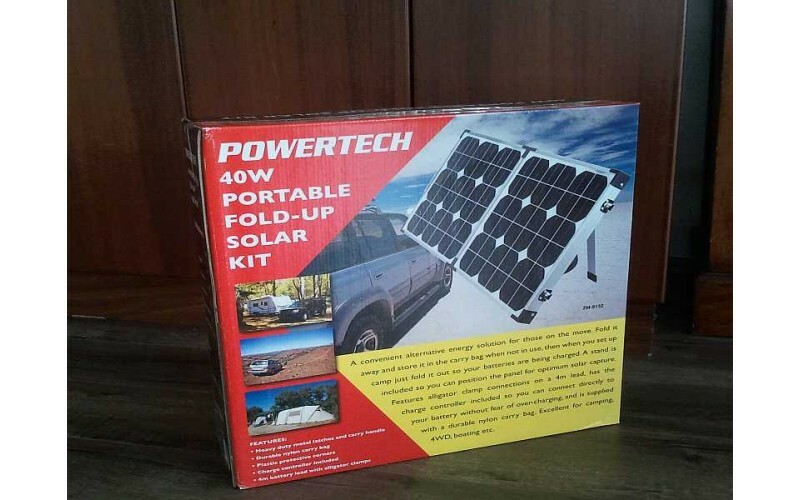 This portable power kit uses green and clean solar energy and its silent, perfect for camping and caravan, boating and fishing. A convenient alternative energy solution for those on the move. Fold it away and store it in the carry bag when not in use, then when you set up camp just fold it out so your batteries are being charged. A stand is included so you can position the panel for optimum solar capture. Attached solar regulator for optimum battery charging. Alligator clamp connections on a 4m lead, has the charge controller included so you can connect directly to your battery without fear of over-charging. Kit packs away in a durable nylon carry bag with padding. Solar panels are delivered by road transport. We require a street address (not a PO BOX) to allow somebody to sign for the package, When you check out you can change the delivery address, you can also add delivery instructions in the 'comments' box when you check out to ensure we get the order to you as fast as possible. 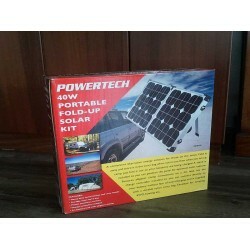 Solar panels and solar panel kits larger than 20 watts can not be delivered to any address outside of Australia.